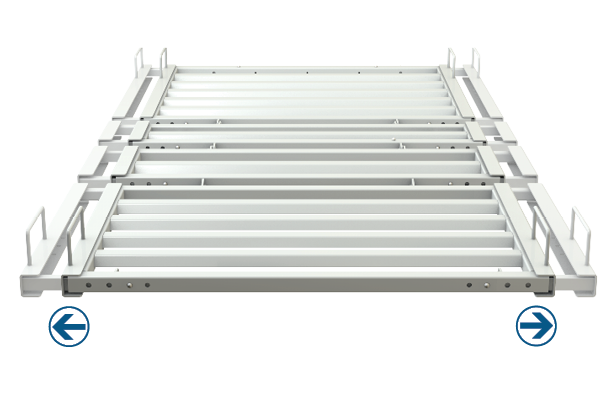 The Encore and Advantage ReadyWide beds have simple, push-button operation: click once to pull expanders out to 39" (991 mm) wide. Click again for 42" (1067 mm) width. 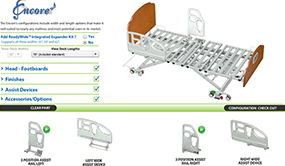 It is fully compatible with the Encore bed's side and assist rails. â€¢ Easily convert the sleep surface on Rexx, Rexx Fast and Advantage beds to a 42 inch width with our intuitively labelled expanders. 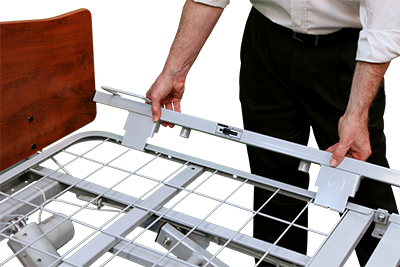 â€¢ Attach expanders tool-lessly to each side of the head, seat and foot decks after removal of the bedâ€™s mattress retainers. â€¢ The expanders are fully compatible with our optional molded plastic and metal half-head assist rails.